Sohar International, a bank in Oman previously known as Bank Sohar, has recently integrated biometric authentication technology into its mobile banking services. 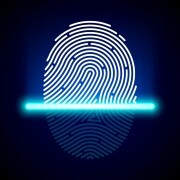 This implementation allows customers to use fingerprint or facial recognition to access their accounts. The bank says this move was motivated by consumer convenience and anti-fraud and security enhancement. The bank didn’t reveal any details regarding its tech provider in this area. The bank says that security features have been built into the mobile application with encryption of data exchange based on industry standards and a dual factor authentication. Fingerprint authentication is compatible with Android and IOS mobile phones which are fingerprint scanner enabled while Face ID is compatible with newer version iPhones. Sohar has a “one-minute banking” mobile banking application, and its smart mobile app has features such as online utility bills and credit card payments, mobile recharge, fund transfers and account operation.